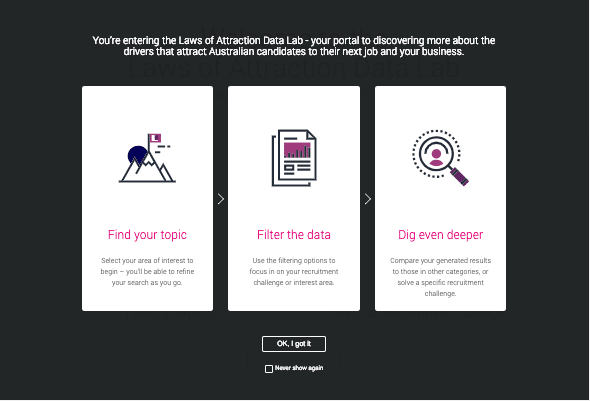 The portal was part of a larger project, with a multidisciplinary team including the client (project manager, data experts) web developer and researchers. From Datalabs we had a data developer, creative/chart coder and front-end developer, as well as a UI designer and a project manager. Initially, they’d asked if there was a way to create a type of dashboard that the user could get a brief overview of the data and filter it by their industry or interest. As the project evolved we came up with the structure to organise it by the industry and demographics that they are interested in. As we went through the design around it became clear that this would be more practical as a web application rather than a dashboard and the design evolved to reflect this. The allowed a large, complex data source to be much simpler to interact with, as well as share and distribute. 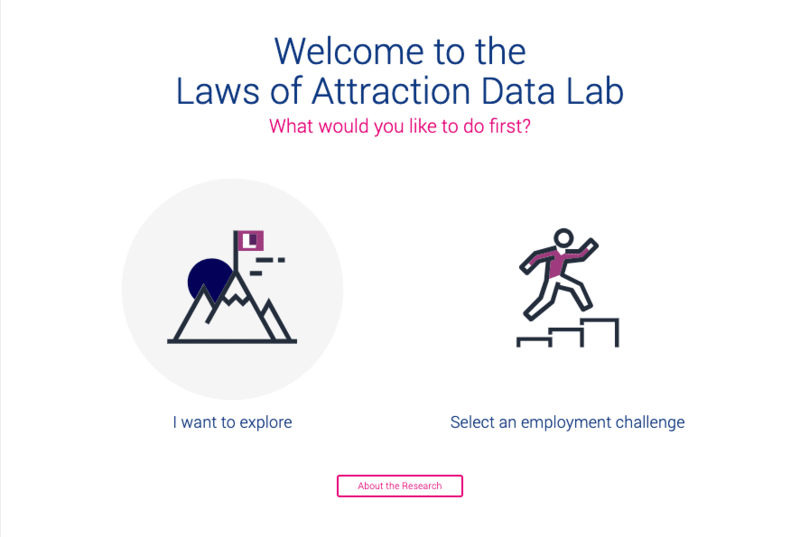 After the initial launch, we’ve updated the project with additional content pieces, which detail a specific challenge in the employment field, with data from the data lab to support and help explain it. Since the launch, we’ve helped Seek deploy in New Zealand and their subsidiarities in Asia.